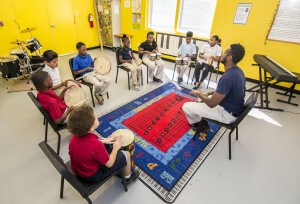 EAMA is located on the Texas Preparatory School (TPS) – Austin Campus and currently offers percussion, piano, and guitar lessons. Students of all levels of musical experience are invited to attend, from novice to advance players. 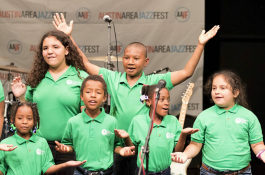 The East Austin Music Academy (EAMA) is our after school program that focuses on music education and music instruction for elementary aged students. EAMA was founded in 2013 to provide individual music instruction, music enrichment, theory courses, group classes and performance opportunities to students, no matter what their level of skill. Throughout the year, our students participate in various community events. Past performances have included, the Glimmer of Hope Foundation Gala, KXAN’s Morning Music Feature, the Long Center for Performing Arts, and the Austin Area Jazz Festival’s Sunset Music Series. A master class is a class given to students of a particular discipline by an expert of that discipline. 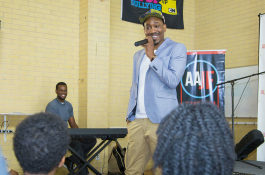 Our students have the unique opportunity to participate in “master classes” with local, regional, and national artists. These Master Classes are designed to inspire our students, allow them to ask questions, and meet some of music greats. Our students spend six weeks with other young music lovers building their self confidence and developing new skills through instruments, vocal coaching, and theatrical performances. 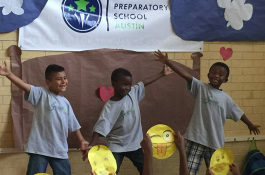 The Summer Program always ends with a community performance.